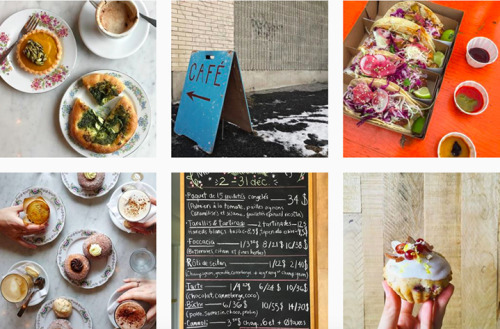 I asked our vegan friend Caroline Huard (@loounie on Instagram), who is also a health practitioner and well-known by the vegan community of Montreal, to list her favorite vegan/vegetarian spots in the city when she wants to drink a coffee, eat well and treat herself! Without further ado, here there are! 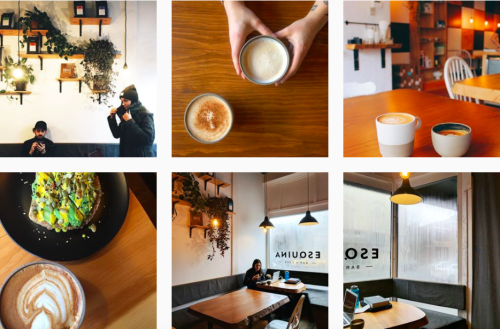 Located downtown Montreal, this cute coffeeshop brings some natural freshness to the grey and urban environment where it is located. 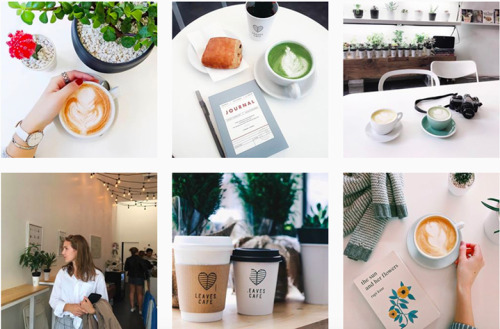 This plant-based espresso bar stands out for the many plants, succulents and cacti, that can be purchased on place as other little cruelty-free products. Other important thing: the baristas use macadamia milk (mamamiaaa!!) in their coffees. Nice place for the eyes and for your belly! “Esquina”, that means “corner” in Spanish, is aptly named as it is the “corner” coffeeshop for many people living in the neighborhood. Here, everything you’ll eat is homemade: cookies, muffins, poptarts (whaaat? ), and even the almond milk! The place’s lattes are also always magnificently done. Lovely place! 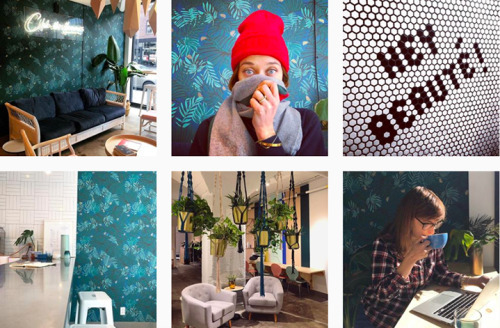 This one just opened in the new Mile-End’s “Espace L”, which is a 100% feminine coworking space that aims to encourage discussions and exchanges between women. The list of beverages is quite vast and, good for you, there’s no extra when you choose almond milk for your cappuccino, oat milk for your mocha, etc. Actually, all the nut milks are homemade! Food comes from Aliments Racine and is entirely vegan, entirely yum! Completely vegan, meals at Aux Vivres are flavorful and will please vegans AND non-vegans! The restaurant is on St-Laurent boulevard but you can find its products in many grocery stores. Having a dragon bowl, made with tempeh or grilled tofu, is a true classic but there are plenty of other options: sandwiches, salads, hot meals and desserts. It’s also a great place to go if you are allergic/intolerant to gluten, soy or nuts! 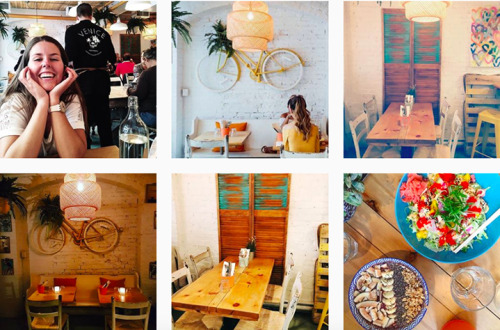 Many foodies will tell you that La Panthère Verte sells the best falafels of Montreal! These fried chickpeas balls are served in a pita bread to create a generous and yummy sandwich. Another positive aspect: the responsible restaurant tries to reduce its environmental footprint; deliveries are made by bike during Summer, most of the jars are made in glass, there are compost trashes, etc. And, on top of that, everything is organic! 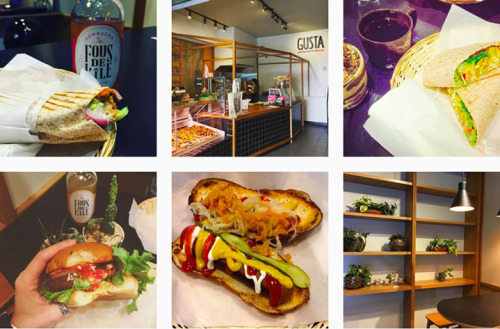 Since last Spring, Gusta has its kiosk in Jean-Talon market where vegans and vegetarians can happily enjoy their exclusive products. Because, you know, even vegans can crave for some junk food sometimes! The restaurant’s food is really simple but knows how to please us: hot-dogs, burgers, poutines, kebabs. Everything is vegan, natural and local. Ya-Hoo! 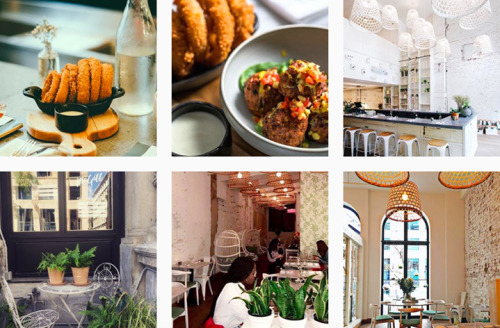 If you’re a vegan or vegetarian or are following bloggers on Instagram, you might have already seen pictures of this leafy Old-Port restaurant. What we love about this place is that, of course it’s beautiful, but the cuisine is original, for all tastes and made from seasonal, organic and local products. You could also go for a 5a7 and sip a refreshing cocktail (they have 6 signature ones). 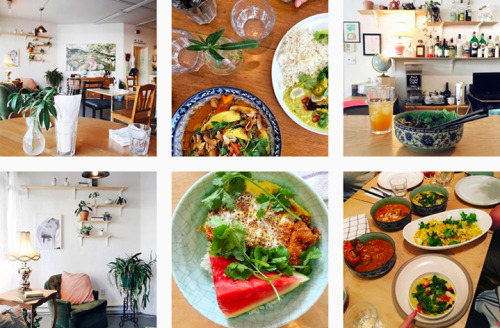 This restaurant proves that vegans can eat so much more than green salads when they want to eat something healthy! This restaurant isn’t vegan, but there are many options that are clearly identified on the menu. Inspired by the Californian community of Venice, the plates and the sunny decor will make you feel like you’re on a vacation. 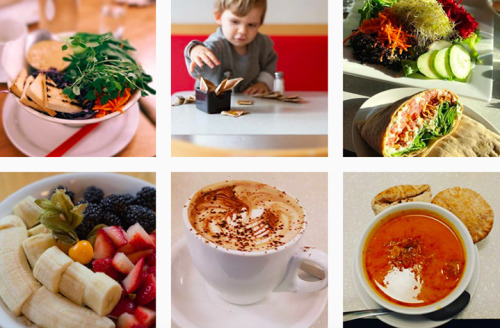 Full of poke bowls, tacos, salads and smoothies, the menu is varied and colorful. 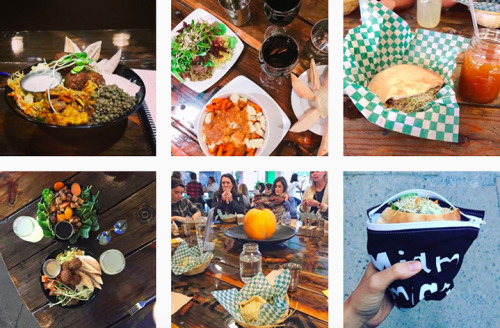 Venice MTL really knows how to mix flavors, freshness and healthy foods. Vegan sushis? Yes dears! 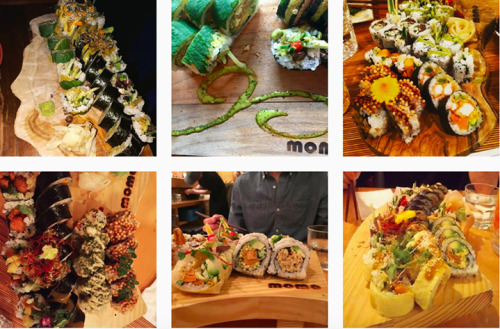 No seafood nor fish is used in Sushi Momo’s meals. The only animal imitation is a “shrimp” made from soy and seaweed. Of course, the sushis are different from the classic Japanese sushis but you will be gladly surprised by their original compositions and seasoning mixes. Vegans and vegetarians who were missing sushis will finally be satisfied, yeah! This place isn’t vegan, but the kind employees and chef will be happy to adapt their recipes to your diet. As you might imagine, the restaurant specialty is curry (different options available) which is served with rice. The recipes are inspired by Indian, Thai and Lebanese cuisines and are really yummy. Moments spent in the joyful and artsy Bighi Curry are always pleasant. A must if you like exotic food! 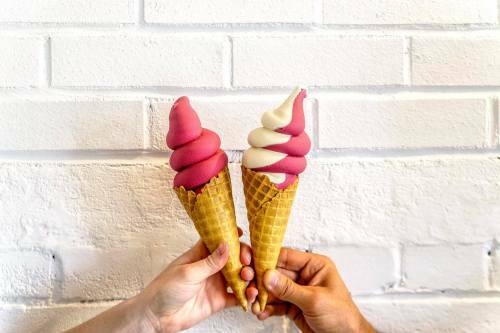 Owners of Hoche Café have recently launched Hoche Glacé: a 100% vegan and lactose-free ice cream shop. Perfect to satisfy your sweet tooth! And all the ice cream lovers will be happy: soy or rice milk swirls, sundaes, banana splits, milkshakes, vegan coatings (strawberries, orange, caramel, hazelnuts… wo!!!) and frozen yogurts. Makes us want to scream YUMMY! Thank you again, Caroline, for your generosity! ** pictures directly taken from the places’ Instagram accounts.